What you wear. What you say. What you think/ignore/buy/don’t buy… Welcome to One City-Population: Everyone-where EVERYTHING you do matters. You’ve lived here your whole life, whether you know it or not. 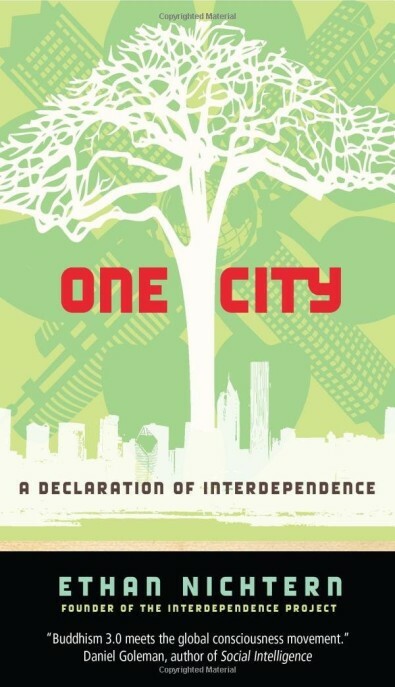 One City melds Dr. King’s message with modern Buddhist wisdom to offer a new way of understanding what binds us all together-no matter where we are, no matter who. With its pop-culture savvy, humor, and literary liveliness, One City will speak to–and even, it’s fair to say, help define–the spiritually-inclined, conscious Next Generation.